I’m sure we’re all in a little bit of withdrawal on our first Friday without PPBF, so to lessen the sting a little – well, a LOT really! – I have a fantastic and educational post to share with you, the first in our 4 part mini-series on self-publishing! Also, there will be an awesome giveaway at the end of this post! So without further ado, let’s welcome Suzanne McGovern. Thank you so much for joining us, Suzanne! SLH: When did you first become interested in writing? Was it something you always did, or something you came to later in life? SM: I’ve been an avid reader since I was a young child, and writing assignments were always my favorite in school, but I wouldn’t say that writing stories was something I always did. 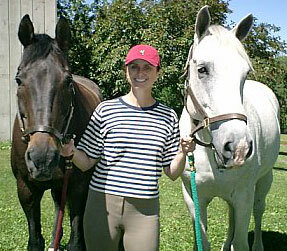 What has been clear for as long as anyone can remember, however, is that I am horse crazy. SLH: If you began as a child, were you encouraged by family/teachers? SM: I was encouraged by my parents to pursue all of my interests and got positive feedback on my writing from family and friends (though, again, writing wasn’t a spoken passion at the time). In high school, for me, writing became part of my self-identity. SLH: If you began later, what drew you to it? SM: The opportunity to express myself – to talk about a particular topic or situation through my own lens. As a Communications and English/Journalism double major at the University of Delaware, I always enjoyed writing features and “column” type stories more than reporting news. SLH: Is there an author who has been especially inspirational or instrumental in your own development as a writer? SM: So many writers have impacted me as a reader – it’s much too hard to choose just one or two. I can say that when it came to writing my Gator books, the gold standard I had in mind was a poem written by Jimmy Cagney about his deceased dog – “A Dog Named Beau.” It was so simple, so illustrative, so poignant and so pure. That’s what I wanted my stories to be. SLH: You are self-published. How and why did you decide to go that route? SM: Though I had crafted my Gator idea and written several scripts, I had virtually no access to publishers. I’d heard the endless stories of manuscripts sitting in piles on publishers’ desks with little chance of ever being read and considered. And I heard horror stories about writers who lost all input and access to their stories once they signed a deal. I had one friend of a friend in publishing who told me that my stories were nice, but that rhyme doesn’t sell – that, at minimum, I needed to rewrite them as prose. To me, this was sacrilege, as I believe the rhyme in my stories is a critical part of what I have to offer as a writer. I like the rhyme. And moms who read the stories said they liked reading it aloud. Long story short, I decided to focus my efforts on publishing the series as I envisioned it, end to end, vs. trying to please publishers (if and when I actually connected with one!). This required a tremendous investment of time, energy and dollars on my part, but it enabled me to maintain control of the entire process. This was important to me, as I only had one idea (I’m not prolific like some writers I know!) and that idea was based on personal experience, so I wanted to keep it pure. I realized in making this choice that I would be severely limiting my ability to publish and market my work, but it was a choice I made regardless. SLH: Can you describe the process? How did you get your illustrator? How did you manage paying the illustrator (flat fee, royalties?) Did you have a contract with your illustrator? How did you decide where to have your book printed? Did you hire an editor at any stage? SM: I didn’t have an editor at any time, but an advertising copy writer friend did proof the stories and offer a few suggestions in terms of word choice and punctuation. I found my illustrator Donna in an unusual way… I started with an extensive online search, which yielded a few illustrators of interest; however, all had agents and I’d been told by a few friends to avoid illustrators with an agent if at all possible, as the agent’s fee drives the total cost of hiring an illustrator up quite a bit. At the same time, at the suggestion of a friend, I phoned SCBWI to ask for guidance on negotiating Illustrators’ fees. (I had zero experience at any of this!) The woman at SCBWI offered to post my job on the SCBWI online bulletin board, for members to consider. So, I submitted a short classified ad and, within days, started receiving emails and links to portfolios – 20+ in all. One or two even took the initiative to draw a spec illustration based on the requirements I’d outlined in my ad. I considered each one carefully, made a short list of two, interviewed both by phone and requested additional spec work. In the process, it became clear to me that Donna Bizjak was the one and only illustrator for Gator and me. Donna and I sign a contract for each Gator book (three so far). I believe doing is is critical — it is both professional and practical; it protects us both. We negotiated a flat fee, which was my preference, given that I had no idea where this project was headed and I wanted to be sure Donna felt she was being fairly compensated for her amazing work. For printing, I again conducted an in-depth online exploratory around domestic, digital, on demand and printing abroad. For my purposes and given several key considerations, printing abroad proved to be the best option. SLH: As a self-published author, how do you handle marketing and distribution? What has worked best for you? SM: By day, I work a career in advertising, so I have a solid foundation in marketing. At the same time, the time I have to focus on marketing my Gator series is limited to nights and a few hours on the weekend. I got the three books I’ve published so far on amazon.com and barnesandnoble.com. I built a web site. I did some readings and book fairs. And, I sold the books to local shops door to door. Unfortunately, I haven’t had the time or wherewithal to pursue the type of marketing efforts I know have the best potential to build awareness and drive sales. This is frustrating, but I console myself by believing that the books are timeless – they will still be relevant whenever I have the opportunity to make them a priority. SLH: Have you tried digital publishing in any format? Can you share your experience? SM: No, I have not tried digital publishing. My exploratory indicated that digital publishing options are inhibitive for a classic children’s storybook – no hard covers, no sewn binding, sometimes no color, limited page sizes. As with publishing, I had a very specific vision of what I wanted the books to be and digital printing wasn’t able to meet my needs. Important to note — this was about seven years ago and things may have changed by now. I do recall that digital printing was the most economical option for modest quantities, a major pro for that route! SLH: Have you done apps for any device? Can you share your experience? SM: No, but it’s a great idea. I’d love to pursue the Gator series as both e-books and apps. For me, there’s nothing like books printed on paper, but digital is an absolutely critical path to pursue today. SLH: Where/when/how do you get your ideas? SM: Horses have always been my passion. I’d wanted a horse of my own since I was about eight years old but, given realities, it took me until my mid-30’s to make it happen. Until that time, as much as I loved a good book, and as much as I wanted to write, I never felt I had anything of interest to say…no story to tell, no ideas. That all changed when my first horse, Gator (aka Montana) came into my life – then the Gator stories just started popping out of me. My childhood dream come true was also the lens through which I realized what I wanted to say and how to say it. SLH: What has been the most challenging thing you have faced as an author and/or as a self-published author? SM: Too little time to make it happen. If I had the time, I’d probably be most challenged by the financial investment required. When you self publish, you’re on your own for everything – figuring out how who to sell to, how to sell, marketing, distribution, franchise development, finding a partner/investor, etc. As best I can tell, traditional distribution points (i.e., retail chains and larger independent booksellers, as well as smaller independents beyond driving distance) are not accessible to those without a publisher. Non-traditional marketing is the way to go for the self publisher – I believe there’s major success to be had via clever efforts online. SLH: What has been the most wonderful thing that has happened to you as an author? SM: I’ve created something I’m proud of, so I’d say the most wonderful thing is the sense of accomplishment at having actually become the writer I’ve aspired to be since college (albeit in my own small way). There’s nothing like a child telling me how much he or she loves Gator, or calling out a favorite detail from the books. Or, a parent telling me that my Gator books are bedtime favorites on the night stand, alongside famous classics handled by major publishers. SM: I’ve done a few, but not enough to intelligently comment here. SLH: What advice do you have for authors just starting out? SM: Frankly, I think I’m the wrong person to ask, as I consciously chose not to follow the traditional rules of writing for or pursuing publishers. In doing so, I understood that I was not setting myself up to create a writing career, but it was more important to me to bring my personal project to life exactly as I’d envisioned. All I can suggest is to be honest with yourself about your objective, do the necessary homework to understand how to pursue that objective (unbelievable how much information and how many resources are available online), and keep the energy flowing as you go. The process can be both exciting and gratifying (as well as scary and frustrating) – whether you win or lose, it’s a great life adventure and fantastic learning experience. SM: As previously mentioned, my “day job” has absorbed all of my time over the past couple of years. (After all, it is the day job that funds the self publishing!). So, I’m not working anything new. Just looking forward to a time when I can really dig into all the ideas I have for Gator. SM: No, not since I entered a few contests with the first book. SLH: What has been your best selling book so far? Which book’s sales (if any) did not do as well as expected? Why do you think that might have been? Were you surprised by one book’s success over another’s? SM: As previously noted, all of my sales have come through local door-to-door distribution and personal sales. 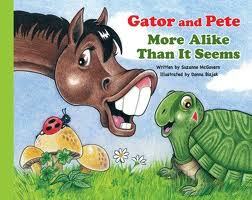 I’ve sold the most of the first book in the series, Gator and Pete – More Alike Than It Seems. But I think that’s because I was able to focus the most time and energy on that one. Less for Blue Ribbon Gator . And, less still for Gator to the Rescue. One interesting learning for me – Moms seem to like Gator and Pete best, because they love the sweet story and the moral. They say they love to read it to their little ones. 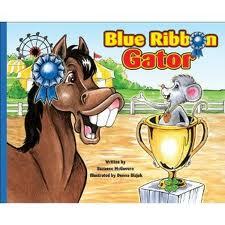 At the same, kids seem to like Blue Ribbon Gator best, because it shows lots of horses, has lots of movement and has lots of bright, primary colors. They also say they like winning – go figure! My personal favorite is Gator and Pete, so I published it first to ensure it made it to print if I was only able to do one. Books can be ordered direct from Suzanne’s website, or from Amazon! Quiet or music? Depends on the day but, generally, quiet if I’m creating. Currently reading? The Art of Happiness by the Dalai Lama and A Respectable Wife by Robert Goolrick. Thank you so much for sharing all your knowledge and expertise with us, Suzanne! We all really appreciate it! Love that toothy horse. I would love to win these books for the grandkids. Erik and Josie. Those are who the books are for. I like the idea of the book(s) and the story behind the book(s). 🙂 I liked learning about Ms. McGovern! The self-publication process sounds like such an immense endeavor — kudos to Suzanne for doing it. And thanks to Suzanne for sharing her process with us. Her books sound wonderful. I absolutely love the cover illustrations. I'd be delighted if I won the books for my cousin's granddaughter Emma, who has a rocking horse that nods its head and nickers! We have a bay named Saber and a gray named Cloud. Plus, my special guy, Mister Ed. He's my palomino appaloosa. We just sold two mares (stubborn things!). Love horse/writing folk! Right Susanna?! I loved reading this interview, Suzanne. *lightbulb* Suzanne and Susanna. *wink* The marketing end of all of this is what terrifies me. As you say, it could be so time consuming and I would be afraid of failure. Suzanne, do you feel you're looked down upon by other authors (traditionally pubbed) and editors that you might meet along your way? It seems to me that they would take a look at these books and sign you. This was a wonderful interview. I especially like the part about staying true to yourself. Which is very important when it comes to writing. Thanks so much for this mine of information and those animals look so cute! I haven't got a day job yet, so I wonder if Phil would stump up all the readies, ha, ha, ha. (Almost fell off my seat there). What a nice giveaway too, even my two reluctant readers would adore those books. So glad you enjoyed it, Catherine! It really is, Angela, and I think it's one of the biggest reasons to choose self-publishing sometimes. Thanks so much for this post. 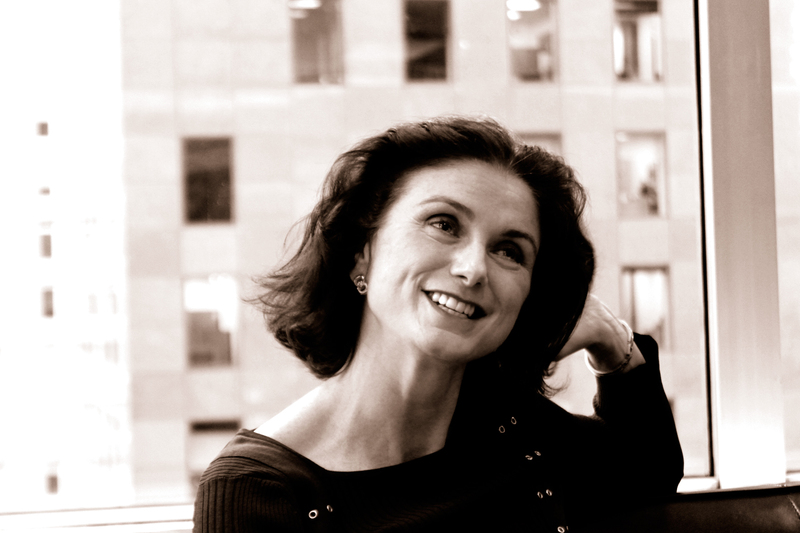 Suzanne-it is so interesting to hear more about self-publishing. Your books sound delightful! Best of luck with marketing and future projects. I don't have children at home (thank goodness because he is 30!!! ), but I have a slew of great nieces and nephews who love to read. Susanna-I love this series already…thanks! Watch what you say about mares, Robyn! 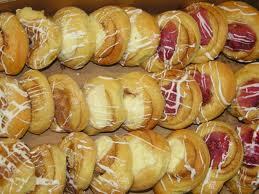 Mine was the absolute best!!! Beautiful, kind, a great jumper, and full of character. Also, apparently, an omnivore – she once at an orange out of someone's hand, and also a hotdog 🙂 Glad you enjoyed the interview! The marketing is hard, and in addition to anything else Suzanne has to add I'll let you in on a little secret – Vivian's interview Monday has a lot of marketing info. You made me laugh! – thank goodness because he's 30 🙂 Glad you're enjoying the series so far. These four authors have been so incredibly generous with their time and expertise – there's a lot to look forward to in addition to Suzanne's. I'm so glad you enjoyed this, Vivian. I think it's terrific that all four of you had some similar things to say but a lot of different things, which is nice for readers and for you guys – that you can learn from each other. Self-publishing is a big undertaking and for those of us who haven't attempted it in can seem intimidating, so I'm sure we're all grateful to be able to learn from you! Glad you liked it Erik! I love the idea of self publishing. Now, more than ever before, it can become a reality for so many of us. There are so many avenues and tools via the internet! I like what was said about contracts with the illustrator. It makes sense to have one for the protection of both the author and the illustrator. I also liked how Suzanne was so honest about the reality of it. That it was a lot of hard work, but worth it for the feeling of accomplishment. This was such an enjoyable read. Thank you so much! Good post. I'd like the books for myself to use in my 2nd grade classroom in NC. Thanks! Enjoyed the interview ladies. I know Donna Jo Napoli left traditional publishing, started her own publishing company, and does all of the above. She has been very successfull and has a following. I applaud you for your effort — I am not so brave. Nice to meet another journalist — I enjoyed writing columns, features and public affairs issues over reporting. Found my way into public relations/community relations. Wish you the best of luck. Hello Friends! Suzanne here — back from (day) bueinss travel. Thanks so much for your positive reactions to the books and enthusiastic support. It's feedback like yours that keeps me committed to my little (ad)venture, despite the challenges. I'll check in later for any questions. Meanwhile, thanks again! Oops, please pardon typos — I blame the jet lag! Maybe we'll have you over to guest post for those who write for older readers once you've gotten to the finish line with your project, Cally! So glad you enjoyed it, Pat! Excellent, wonderful, fabulous! I've been looking into self-pubbing options myself, so this was timely and valuable. Suzanne, congrats for taking matters into your own hands and being clear about what was most important to you. Looks like it paid off, and I hope you find the time to promote. book could have trickle-down (or up!) marketing benefits for your Gator series? I'll bet my Gracie and Liam would enjoy adding the Gator series to their libraries. Thanks! Great question, Cathy! i hope Suzanne gets a chance to check in and answer it! Wonderful interview. I love your candid responses, Suzanne. I do like the increased shelf-life of the self-publishing route. In traditional, books have about 3 months to make it big before distributors start pulling them from the shelf, publishers move on to the next “hopefully” best seller. Like you said, whenever you decide (as an indie publisher) to put your all into marketing, your books will be there for you, waiting to be discovered. It reminds me of books written by traditional authors years ago, to be discovered by readers after being made into a movie. Hi Cathy — In answer to your question, yes, I would absolutely consider working with a publisher or agent in the future. In fact, I might still choose to push the existing books this way one day. Always ideal to have options… I've printed the books in small quantities, so I could always hand them over if the right opportunity presented itself. Net, wherever you have success, go for it! So glad you enjoyed the interview, Reena! Wow! Great information here! Kudos to Suzanne for staying true to her story. Glad you found it interesting, Julie.